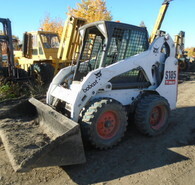 Savona Equipment has skid steers for sale by Caterpillar Bobcat & John Deere. 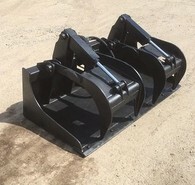 We will supply our used skid steer ready for service. A skid loader, skid-steer loader, or skidsteer, is a small rigid frame, engine-powered machine with lift arms used to attach a wide variety of labor-saving tools or attachments. Many manufacturers have their own versions of this vehicle, including Bobcat,Terex, Case, Caterpillar, Gehl, Hyundai, JCB, JLG, John Deere, Komatsu, LiuGong, New Holland, Volvo, Wacker Neuson, and others.